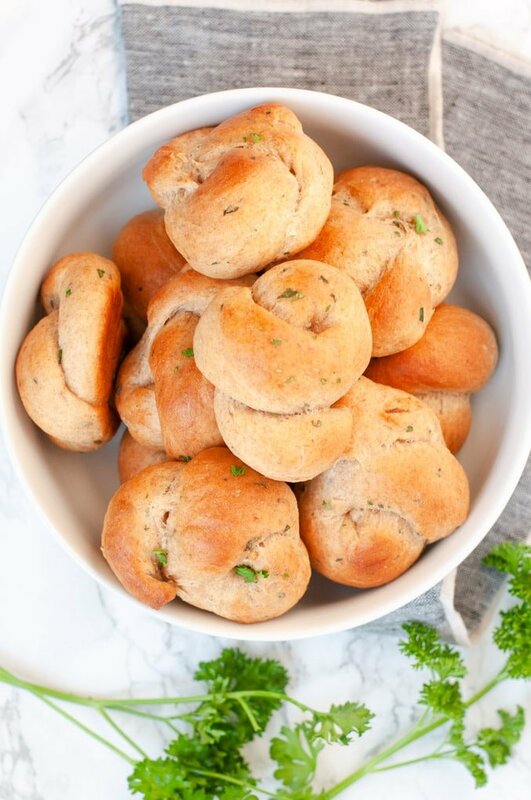 These easy whole wheat garlic knots are loaded with roasted garlic and fresh parsley and take just an hour and a half to make. I’ve said it before and I’ll say it again: I love garlic! And bread. The combination of garlic and bread? Ooh, I can hardly deal with it. That’s where these whole wheat garlic knots come in to play. 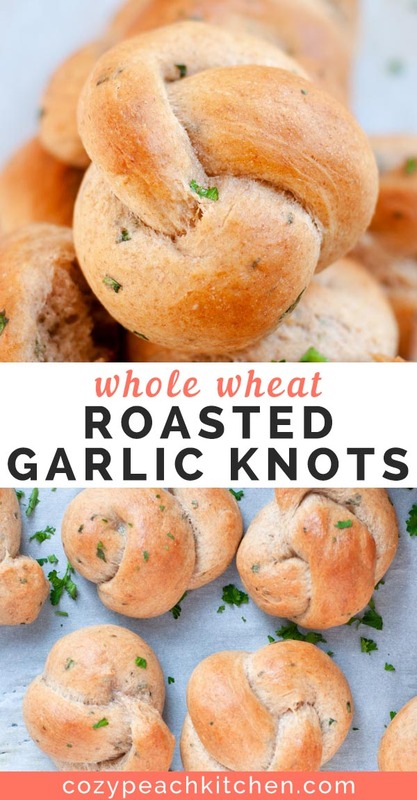 They’re soft and fluffy on the inside and taste deliciously of roasted garlic and earthy whole wheat. New to homemade dinner rolls? 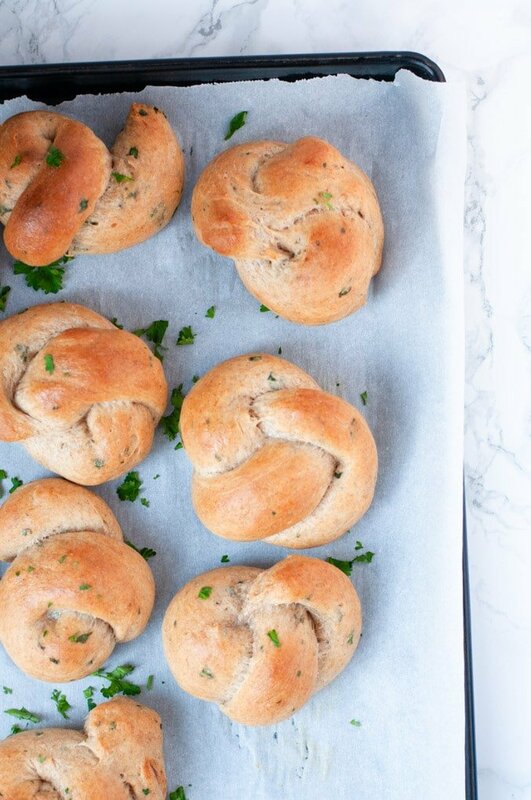 Don’t let these fancy garlic knots fool you; it’s easy to twirl them together in just a few simple steps. 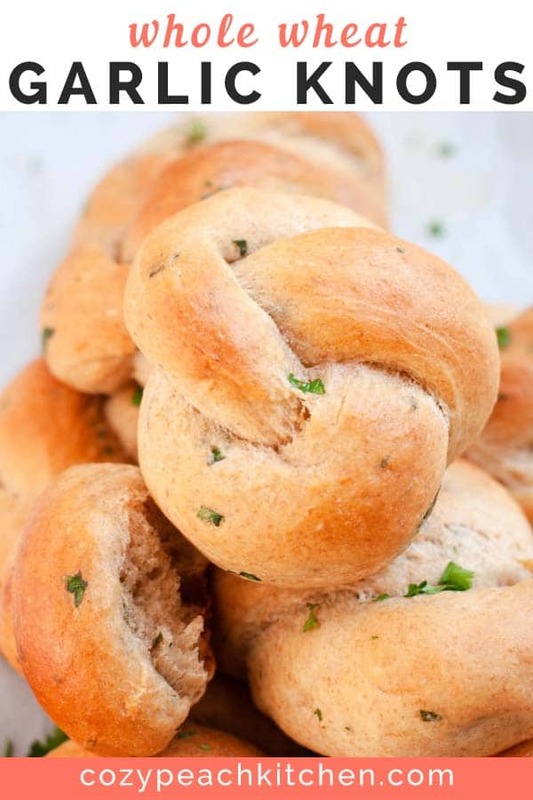 Dinner rolls are a great first project if you’re new to working with yeast rolls. 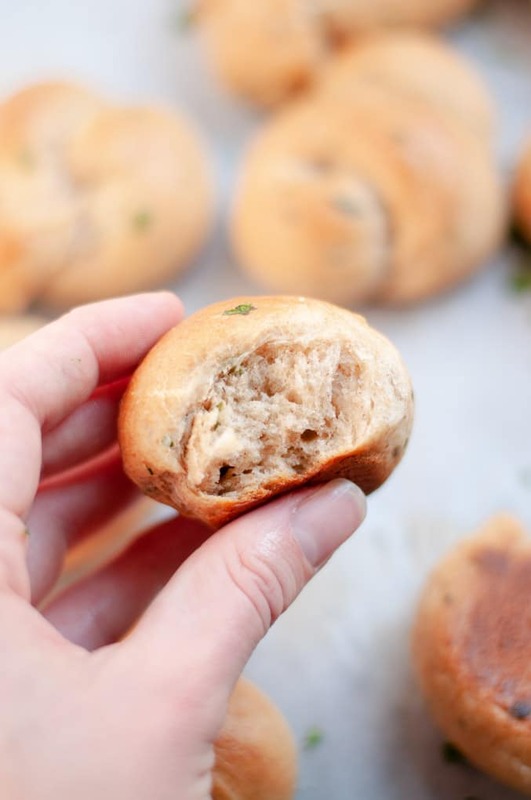 These garlic knots are filled with roasted garlic, 100% whole wheat flour, and a sprinkling of fresh parsley (on the inside and out!). 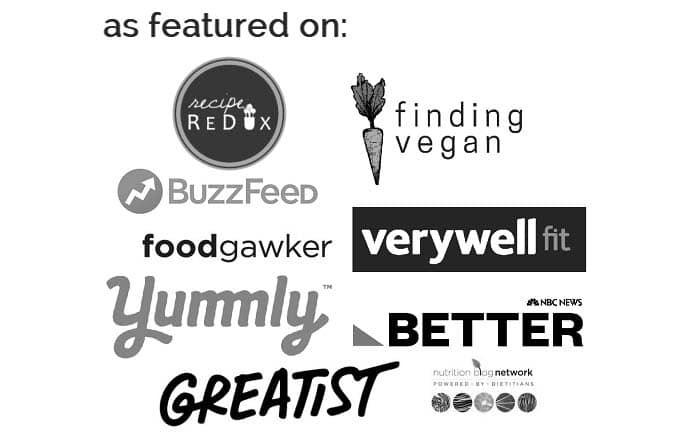 They take just over an hour and a half to make and are vegan! 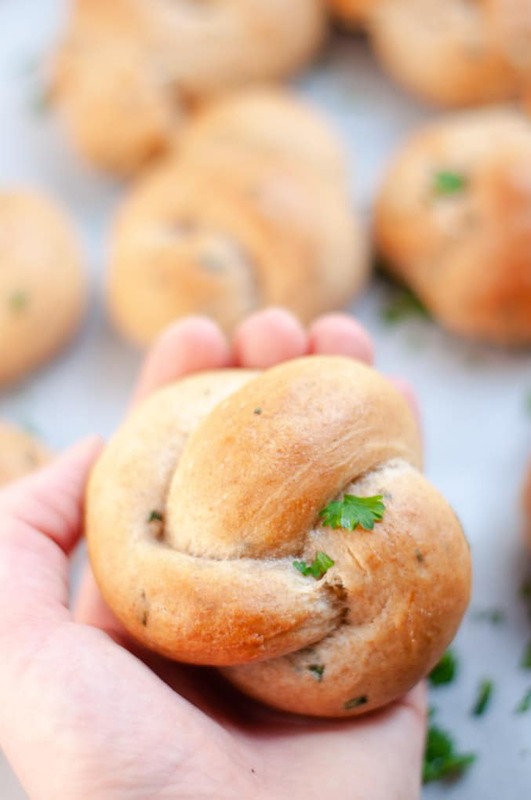 These knots are also great for bread baking beginners (say that 10 times fast!) because the oil-enriched dough makes the dough easy to work with. 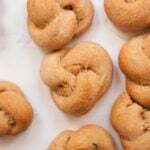 Using only whole wheat flour gives these knots a deeper and almost earthy flavor. It also adds a little extra fiber, which is always a plus in my book. Adding roasted garlic to dishes is an easy way to exponentially up the flavor game without putting in too much effort. Take a head of garlic and cut off the top 1 inch so that the tops of the garlic cloves are exposed. Remove as much of the outermost papery garlic skin as you easily can. Drizzle the exposed garlic cloves with a teaspoon of olive oil. 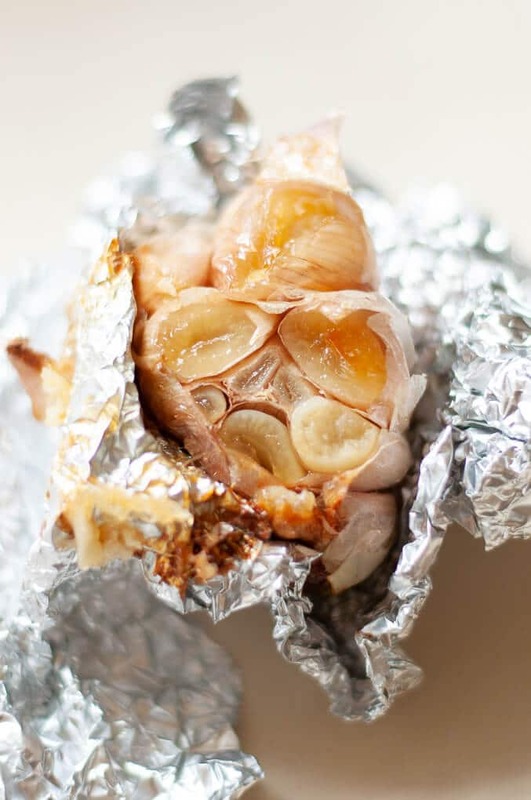 Wrap the garlic clove up in foil, then bake at 350 degrees F for about 40 minutes. The result will be soft, smooth and deliciously roasted garlic. To use, squeeze the roasted garlic out of the cloves. Add the roasted garlic directly to the garlic knot ingredients and get to kneading some dough! How the dough should look after being kneaded the first time. How the dough should look after it has rested for half an hour and doubled in size. Using your hands, roll each piece of dough into a 10 inch by 1 inch (or about that size) rod shape. Cross one end over the other into a ribbon shape. Now, take the bottom ribbon end and fold it over the other end and into the hole. Flip over and repeat with the untied end. Press the ends lightly together to make the knot stay. These little knots are the perfect side with hearty lentil quinoa soup or this mushroom and kale risotto (which is my first blog post, so be nice!). 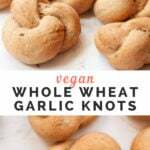 These 100% whole wheat garlic knots are loaded with roasted garlic and take just about an hour to make. Preheat oven 350 degrees F. Chop the top 1/2 inch off of the garlic head and remove the outermost layers of garlic paper. Sprinkle the exposed garlic with 1 teaspoon of olive oil. Wrap in foil and bake in the oven for 40 minutes, or until the garlic is soft and lightly browned. To use, gently squeeze the garlic out of the cloves. Combine all ingredients (including the roasted garlic) in a medium mixing bowl using a wooden spoon or mixer. If the dough is too dry, add a tablespoon at a time of warm water. If it is too sticky, add a tablespoon at a time of flour. Once the mixture is holding together, turn the dough out on a lightly floured surface. Knead the dough for 4-5 minutes. It should be smooth and elastic. Return the dough to a lightly oiled bowl, turning to coat. Let rest for 25-30 minutes, or until about doubled in size. Preheat the oven to 350 degrees. Place garlic knots on a parchment paper lined baking sheet. Let rest for 15-20 more minutes in a warm area, until they have doubled in size. Bake for 20-25 minutes, or until tops are lightly browned. While the knots are baking, prepare the coating: In a small pan over medium heat, saute the minced garlic in 2 tablespoons of olive oil until lightly browned and aromatic. Set aside. 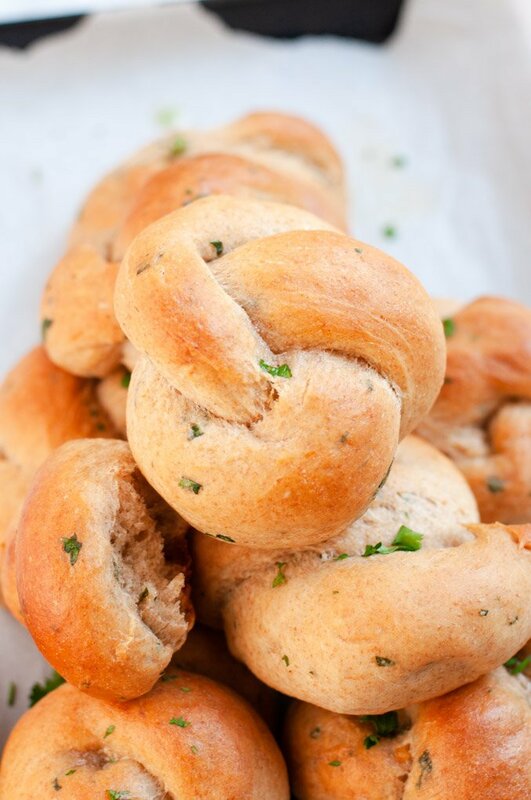 Remove the garlic knots from the oven and brush lightly with the sauted olive oil and garlic. Sprinkle with fresh parsley. Enjoy warm or at room temperature. *The water should be warm to the touch like bath water, but not so hot that you can't leave your fingers submerged. You can also use milk in place of water for a smoother dough.